November is almost over, but our HOLIDAY PROMOS are just beginning! The OneLife Team offers you FIVE unmissable promotions which promise to improve your network strategy. Read along and choose your favorite! And why not all of them? Keep on following the Newsletters and be the first to learn all details! The OneLife Team wishes you a fantastic week! You have very little time left to improve your Leadership Rank! We encourage you to DO YOUR BEST and upgrade your October achievements during the last days of the promotions. The Leadership ranks for both months (October and November) will be calculated together, which will help most of you reach the next step. Do not wait much and grow together with your Team! You want to activate a higher package and improve your financial education, but you have already used up your two upgrades? NOW this is possible! With our latest promotion, ALLmembers have the advantage of an EXTRA upgrade for their account. So, prepare your strategy and choose the BEST package which is guaranteed to take you to the next level. Be one step ahead with one of the most demanded promotions! Combined with the previous promotion, if you decide to upgrade to TYCOON PACKAGE, NOW you have the opportunity to request EXTRA TOKENS for your account. Upon demand the Tycoon package will provide you with a total of 81 818 tokens! The split barometer has already passed 50%, which means it is time to carefully prepare your split strategy. To help you with this, the OneLife team offers you one more advantage. The newest package in the Network- INITIAL LAUNCH PACK which is currently the highest package, providing ALL 7 levels of OneAcademy will give you also ONE EXTRA SPLIT upon activation. This is not all! Due to its high demand, the OneLife team decided to provide you with a FREE pack! To help yourself and your team advance further, you can take advantage of the latest bulk promotion – with the purchase of every 6 ILPs you will receive one pack absolutely for FREE. There are FEW DAYS LEFT to order your ticket for one of the biggest network events! The MASTER MIND event promises inspiring presentations, workshops and a Merchant expo. All guests will have the opportunity to learn from the best speakers who will discuss the hottest topics within the Network! Be there and draw on the experience of the top leaders! Seats are limited so be quick and order your ticket from the official event page. Together with reading classes funded by the OWF, our partners from Peru organize art classes as well. They boost student's creativity and motivate children to go to school. The new week starts with the story of one the most inspiring women in the Network! Check it out and learn from her experience! The holiday season is almost upon us, this is why the OneLife Team has prepared NOT ONE but FIVE new promotions which promise to power up your development in the Network! Also do not forget that one of the biggest regional events is just around the corner. IF you are ready to be recognized on stage and celebrate with your team, TODAY is the last day to send necessary data. After only five years in the Network Marketing Business, Mariana Lopez de Waard has become the ultimate example for many women in this business world, especially in the Spanish speaking market. Mariana considers the strong belief in the product as the key of doing serious business. Believing in OneLife wasn't easy at the beginning for her. But once she understood what's behind it - the knowledge, the vision, the people and the team, she knew that this is the business of the future. As a dedicated leader Mariana believes that the best is yet to come! Thank you for the amazing leadership example that you give thousands of people around the globe. Be sure to keep rocking the stage and inspiring young women to chase their dreams and believe in themselves despite all odds. The entire OneLife team is happy to be part of your journey and witness your persistence, efforts, growth and admirable motivation which makes you the successful woman your team knows today! The holiday season is around the corner and the OneLife team is ready to celebrate by offering you amazing promotions which will help improve your business strategy! FEW DAYS LEFT! For those who have not heard yet, NOW you have the chance to improve the leadership rank you have achieved in October. It is time strengthen your strategy as rank qualifications for October and November will be calculated together. Dare to achieve more and take your team to the next level. The extra effort always pays off! We have prepared yet another unmissable promotion which is sure to take you to the next step! If you have used up your two upgrades, available per account, now is your chance to take advantage of yet another awesome holiday promotion! Now all members of the OneLife network will have the chance to do ONE EXTRA UPGRADE! The promotion provides you the advantage to increase your opportunities in the Network by receiving access to MORE levels in the OneAcademy platform. The gained knowledge is sure to improve your strategy and personal development. As always, this is not all! Only now by activating the TYCOON PACKAGE you will have the chance to request 81 818 tokens for your account! The promotions will be available until the end of the holiday season, this is why the OneLife team encourages you to make the most of them! Being the newest educational package of the network, the Initial Launch Pack has already gained popularity because it provides ALL 7 Levels of OneAcademy with carefully prepared educational materials by our professionalists. The courses will gradually build up your knowledge and provide you with an insight and understanding of the IPO process and valuations. As educating more people worldwide is our mission, this is why NOW the OneLife Team offers your a special bulk promotion - with the purchase of every 6 ILPs you will receive 1 for FREE! And to make it even better, you will receive an EXTRA PROMO SPLIT to each Initial Launch Pack! There are only few days left until one of the most awaited events - ''THE ONE". Members from the whole Asia-Pacific region to celebrate the growth of the OneLife Network together! All guests will experience 3 full days, filled with presentations, trainings and exciting discussions with TOP leaders! Go to the OneLife official event page and order your tickets using your ONEs! IMPORTANT: To all members, who are ready to be recognized on stage and celebrate their achievements- today is the LAST DAY to send your data. Make sure that you send the organizers your ticket serial number, username, first and last name to recognitionskl@gmail.com! As our aim is to empower young people and help them fulfill their potential, we partnered with ANYiSO to provide skill development workshops for disadvantaged African and ethnic minority children and youngsters. Our goal is to increase their self-esteem, improve their life skills, reduce stress, promote integration and engage young people to help them become responsible citizens. Children and young people are given the support and services needed to enable them to live better lives, free from discrimination and abuse. Most of the children experienced traumatic events in their past which led to problems in school, difficulties with learning, attention span and communication. They often suffer from anxiety, depression, drug or alcohol abuse, eating disorders, etc. Our joint efforts will empower them through education, trainings, counselling, art and craft workshops. We hope to boost their self-confidence and self-esteem which will reduce stress and provide a positive impact throughout the whole community. We will help them learn new skills, discover hidden talents and support them in becoming active young citizens. Finally, this assistance would encourage them to start a career in industries such as art and crafts. The children and their tutors will meet weekly for 52 weeks at the Knightswood Community Center in Glasgow. They will have classes in bead making, knitting, drawing and paining, accessory making, etc. 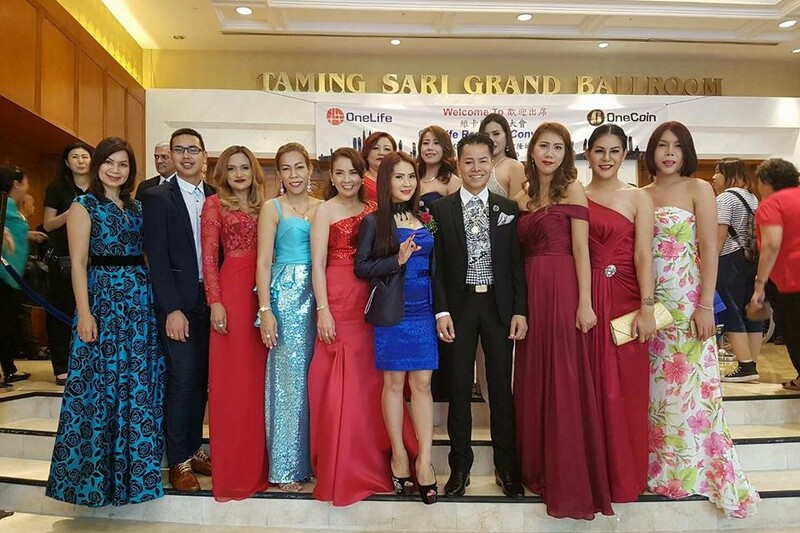 As promised, the OneLife Team continues with the acknowledgement of the best female leaders in the Network. Power up your motivation with yet another inspiring story! Do not forget to use the gained inspiration and check how you can improve your leadership rank! Also - keep on reading to find details for the all upcoming events of the network! Last but not least, if you have not taken advantage yet, now is the time to check out the latest updates about the extended DealShaker promo. Miss Natchaphan Sonsirinun - a beautiful and inspiring woman who has started from scratch and now is the FIRST female Black Diamond in Thailand! She is a perfect example for every young lady who has the ambition to succeed and the dedication to put all her efforts towards reaching the top! Natchaphan' s story is truly inspiring, as initially she did not have it all. She started working at the age of 14 because she had to support her mother. This is when her life began to be so dynamic as she had to work day and night. But Natchaphan never stopped. She was always looking for a better opportunity. In 2006 she discovered a new opportunity in the field of Network marketing. In December 2014, she made the biggest step in her life so far - she joined OneLife. There, Natchaphan has had the chance to build new and strong relationships, has educated hundreds of people and has served as inspiration to many. Her difficulties with the language and initial lack of knowledge in the field of cryptocurrency and finance did not stop her, but she took them as motivation to challenge herself. Natchaphan did not have money to afford English lessons, so she was determined to gain education through self learning. And she succeeded! After overcoming the language barrier, Natchaphan wanted to share all the knowledge she gained on cryptocurrency and help people by presenting them with this amazing life-changing chance! With all her efforts and dedication she managed to build a strong team in the Network, which got her the Emerald position in one month, Diamond in three months, Blue Diamond in nine months, and Black Diamond within 18 months! She strongly believes in the opportunity provided with OneLife Network and admires the work done by Dr. Ruja Ignatova through OneWorld Foundation which improves the lives of children worldwide. Natchaphan is proud to be part of it and is determined to keep educating people and provide them with the financial knowledge, which will establish a better future for them and their families. Dear Natchaphan, a BIG thank you from all of us in the OneLife Team for sharing this incredibly inspiring story with us! We wish you all the best and never stop challenging yourself! A BIG thank you to all hard working members! We appreciate your constant efforts and this is why we have decided to provide you with the AMAZING opportunity to improve your leadership rank from October! For those who are ready to achieve more, NOW is your time! The Leadership qualifications are officially EXTENDED by the end of November. You have the chance to take your teams to the next level, as leadership ranks will be calculated together for both October and November! The OneLife Team encourages you to do your best during this time, as hard work always pays off! ''THE ONE'' event is coming up! The convention in Malaysia will gather members from the whole Asia-Pacific region for a session of informational presentations, trainings and workshops. All guests will enjoy three full days, filled with learning, sharing, inspiration and positive vibes. The party and the unforgettable moments are guaranteed! Das Team der OneAcademy freut sich Ihnen die neueste Sprache auf der Plattform präsentieren zu dürfen - DEUTSCH! Das Team hat fleißig daran gearbeitet Bildungsmaterialien für jeden leicht zugänglich zu machen und einen größeren Umfang an Lehrmaterialien anzubieten, die bereits in folgende Sprachen übersetzt wurden: Englisch, Chinesisch, Rumänisch, Russisch, Tschechisch, Polnisch, Arabisch, Portugiesisch, Spanisch und NUN AUCH Deutsch! Ab sofort stehen deutschen Mitgliedern alle Kurse bis zur Ebene 5, einschließlich Verhaltensökonomik Teil 1, in ihrer Muttersprache zur Verfügung! Bleiben Sie gespannt, denn das Team der OneAcademy wird mit seinen regelmäßig erweiterten Lernmaterialien auch weiterhin für ein effektives Lernerlebnis sorgen! The OneAcademy Team is proud to announce the newest language, launched on the platform - GERMAN! The Team has been actively working on making education easily accessible to everyone, providing a wider range of learning materials which have been officially translated in: English, Chinese, Romanian, Russian, Czech, Polish, Arabic, Portuguese, Spanish and NOW in German! German members can now access all educational courses up to Level 5, including Behavioral Finance Part 1 in their own language! Stay tuned as the OneAcademy Team will keep providing effective learning experience through its constantly upgraded educational materials! The new month starts with Leadership Inspiration. Do not forget that with a lot of work and dedication everything is possible! To all hardworking women in the Network, stay tuned as this month the OneLife Team will be acknowledging the Female Leadership in the Network by sharing the stories of the MOST successful female leaders! Also let's not forget about the incredible DealShaker promotion which has been EXTENDED! Take the opportunity and take your first steps in e-commerce promotions, while the platform is still new! Last but not least, there is still time to order your tickets for the most awaited events! The OneLife Team wishes you a very successful new month, filled with a lot of positive emotions! A big thank you for your constant hard work and efforts due to which we grow even bigger! Elena Gulevskaya- one of the top female leaders of the Network! Ambitious, smart and beautiful woman who has what it takes to strive for the stars. Everything for Elena started during the Macau event in September 2015. Introduced to the OneLife Network by Mr Udo Deppisch, she saw an opportunity which was about to change not only her lifestyle but her life! Kazakhstan, Mongolia, Europe and even Japan. Elena feels inspired by the concept of the company and constantly puts her efforts and a lot of dedication to educate members worldwide and supports them to reach the desired leadership position. Elena strongly believes that the Company is the game changer of the minds of thousands of people, improving their skills in the network industry and cryptocurrency market. The OneLife team is extremely grateful for your dedication. Keep up with the powerful inspiration and keep growing bigger, bolder and stronger! Did you hear that the latest DealShaker pormotion has been EXTENDED? As a way to motivate even more newly registered merchants, the DealShaker promo will be extended until the end of this year. Having an approved merchant account will give the newly registered merchant the advantage to request 100 EXTRA promo tokens as a bonus for his/her first steps on the platform. The EXTRA opportunity is provided for all merchants with a first approved deal in the system.This means that all new Merchants will receive the option to receive 100 + 100 ADDITIONAL tokens upon their approval in the system and the approval of their first deal. For all interested in DealShaker there are two Merchant Expos organized in Thailand and Kuala Lumpur in the upcoming 30 days. If you will be visiting one of the upcoming regional events, make sure to drop by the Merchant Expo to get a sense of the local merchants promoting on the platform. Check out the next news piece or www.onelifeevents.eu for more information! The One Academy Team is ready to launch the next language of the platform. The Team has taken in consideration all of your feedback and suggestions. Do not forget that your opinion is a priority towards making education more accessible to everyone! For this reason our professionalists have been working actively on expanding the language options for all members. Stay tuned as the NEW language will be launched THIS WEEK! 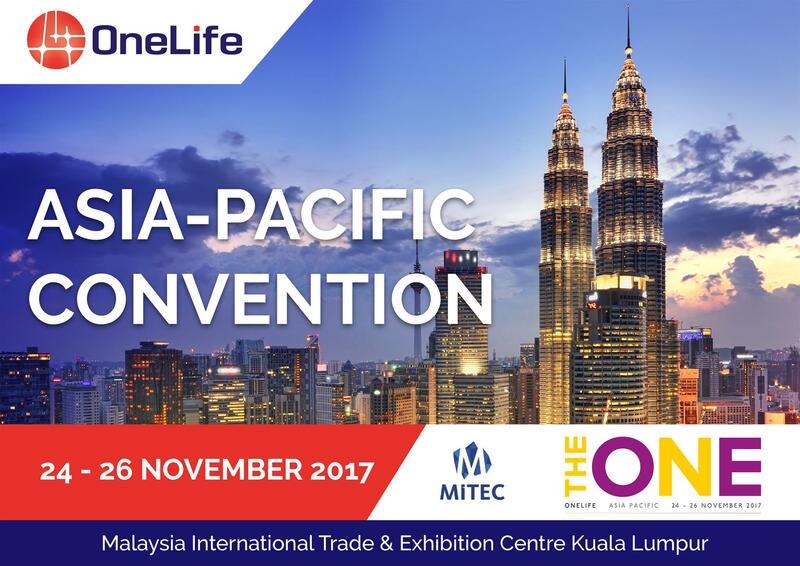 ''THE ONE'' will gather members from the whole Asia-Pacific region for a session of informational presentations, trainings and workshops. All guests will enjoy three full days, filled with learning, sharing, inspiration and positive vibes. The party and the unforgettable moments are guaranteed! The Master Mind event promises presentations, workshops and Merchant expo. All guests will have the opportunity to hear from the best speakers who will discuss the hottest topics for the Network! Be there and learn from the experience of the top leaders! We are excited about our new partnership with CameroonOne. We are supporting them implement their In-Home Child Sponsorship program. The project has been designed to support both orphans and their surviving relatives with the goal of keeping families together. Together we will provide 32 scholarships to children from the Mankon and Belo communities in two villages in Northwest Cameroon. 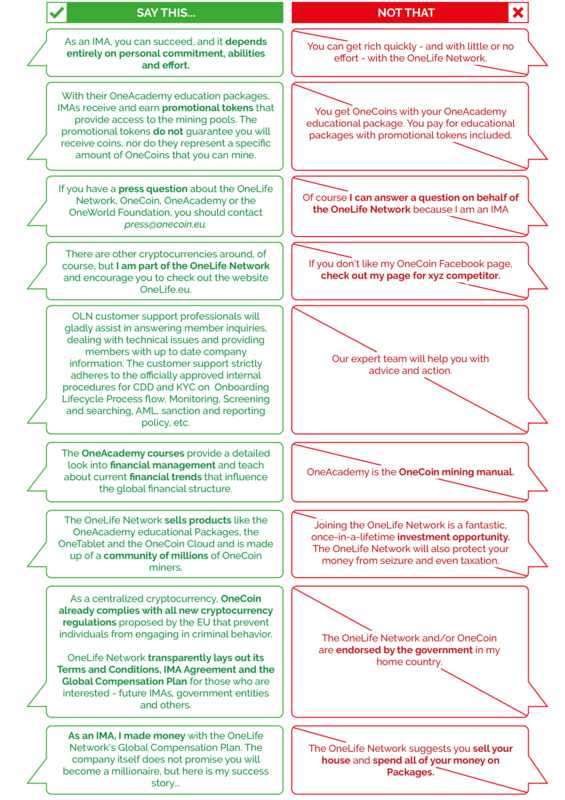 The children are selected by a vulnerability criteria chain. By international laws and standards, orphaned children are supposed to be reunited with family members. If there are no family members capable of raising them, then they should be placed within willing homes within their community of birth. In the event that all these options are exhausted, then (and only then) should international adoption become an option. That said, these standards are routinely ignored or flouted around the world. Therefore CameroonOne's mission is to promote the standards of international law and to keep the families together. Orphanages should be used only as a last-case scenario. They should be for those without any other options. By providing 32 scholarships through this project we hope that we will help the overcrowded and underfunded orphanages while simultaneously reuniting families by placing children in the households of surviving family members. The support will ensure their education and provide for a healthy live. Each household receives a per annum stipend to offset the costs of PTA school fees, medical assistance, school supplies, uniforms, text books, shoes, and basic food staples. In return, the relatives should encourage children's development by ensuring school attendance as well as fulfilling healthcare and vaccination needs. What is more, children's progress in school will be tracked and monitored. The aim is to ensure that any issues are addressed on time. This project can reduce short-term poverty by directly providing a partial income to the impoverished and those most in need. Also it can ultimately fight long-term poverty by creating a more productive and competent future human capital among parentless children who may have received little or no education.